Theodoros Gialamas has took his Ph.D at Faculty of Agriculture, Aristotle University of Thessaloniki. He holds a postgraduate degree (M.Sc. & Ph.D.) in "Agricultural Engineering" from the Agricultural University of Thessaloniki. He is Associate Professor at the Department of Biosystems Engineering of the Faculty of Agricultural Technology, TEI of Thessaly. His research activities include experimental tests to determine the allowable angle stability for movement of farm machinery on sloping and uneven ground, and measurements of the impact on the health of the operator from vibration and noise. Ioannis Gravalos is Professor at Department of Biosystems Engineering, Technological Educational Institute of Thessaly. He obtained Diploma (Dipl.-Ing.) in “Agricultural Engineering” from Agriculture University of Prague, M.Sc. in “Biotechnology - Quality Assessment in Nutrition and the Environment” from Department of Biochemistry & Biotechnology, University of Thessaly, and Ph.D. in “Automation & Control Technology” from Department of Electrical Engineering and Automation, Faculty of Engineering, Agriculture University of Prague. His research activities include: Agricultural Mechatronics & Automation, Farm Machinery Design, Intelligent Fault Diagnosis Systems, and Biofuel Combustion Engines. He has more than 100 publications in scientific journals and conferences and one patent. Dimitrios Kateris. Graduate at School of Agriculture, Aristotle University of Thessaloniki and Agricultural Machinery and Irrigation of TEI of Larissa. Master of Science degree specializing in Agricultural Engineering and Water Resources and PhD candidate in the laboratory of Agricultural Engineering at the Faculty of Agriculture, AUTH. Since 2002 working as a Teaching Assistant in the Department of Biosystems Engineering (formerly Agricultural Machinery & Irrigation). Active research in the area of prognosis and fault diagnosis using non-destructive inspection techniques in mechanical subsystems agricultural tractors and machinery. He has also developed strong research activity in the field of fluid dynamics. He has been involved with the creation and development of computer simulation models of airflow in rural construction. He has more than 80 research papers in international journals and proceedings of international and national conferences. Tsiropoulos Zisis, is a Ph.D student in the Department of Agriculture Crop Production and Rural Environment of University of Thessaly. He received his Bachelor degree in the Department of Biosystems Engineering, Technological Institute of Larissa in 2001 and his M.Sc. degree in the Department of Environment of University of the Aegean in 2007. He has worked as contract lecturer at the Technological Institute of Larissa, as Researcher at two Research institutes and as Collaborator at two Unions of Agricultural Cooperatives. He is developing applications for agriculture in many programming languages and platforms. His research interests include new technologies in agricultural engineering, computers & electronics in agriculture, automations, renewable energy sources, and precision agriculture. 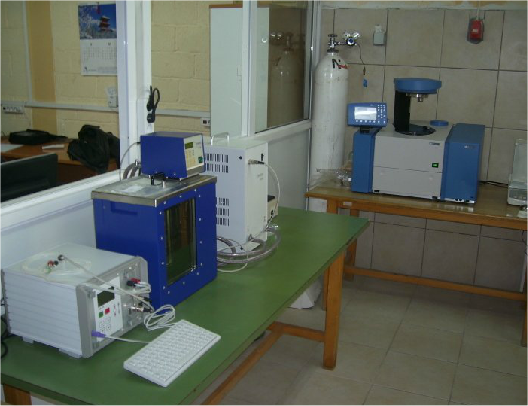 EMEST LAB was established in the Department of Biosystems Engineering, School of Agricultural Technology, Technological Educational Institute of Thessaly (Greece).